5 Commercial Real Estate & Properties in Five Dock are listed in 2 categories. We have 4 OfficesSale & Lease and 1 Retail ShopsSale & Lease . Abundance Of Natural Light | Transport Close By | Shared Workspace $290pw | 2 Person Workspa..
PROPERTY OVERVIEW $290pw Price incl. Economical office space in the centre of Five Dock. 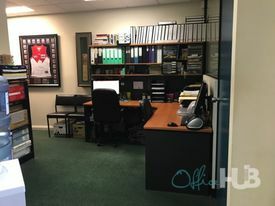 This private office can fit up to three people and is offered furnished with desks, chairs and a huge amount of storage space with filing cabinets, shelves and cupboards. Outside of the private office, you step into a welcoming shared workplace that has kitchen facilities and a photocopier/printer/scanner. There is also a manned reception and waiting area where the existing team will give your clients a warm welcome. If you’re ready to move out of the home office to get away from the kids or simply need a more affordable solution for your growing business, this boutique office space could be the ideal solution. Flexible terms available now! This office sits on Great North Road in the heart of Five Dock’s main retail and commercial centre. Part of a long line of shops, banks, restaurants, cafes, this office is close to a number of small local businesses which together harbour a close knit community atmosphere. For public transport users, there are regular bus routes to the city and other suburbs while the nearest railway stations are Croydon and Ashfield, both about 2.6km away. Major regional roads such as Parramatta Road and the City West Link run through Five Docks and there is easy free street parking on the surrounding roads for a stress free commute. The advertised office space is perfect for a team of 2. If you need more or less space, we have over 30,000 furnished workspaces all over the world suitable for a team of 1 to 200+. Our award winning team offer a free service that will help you find the perfect solution for your needs, so reach out if you need more help. What you get for your weekly rent , 24/7 Security , Access to kitchen facilities , Access to secure printer and scanner , Building outgoings included , Dedicated desk with 24x7 Access , Dedicated receptionist to manage your calls and greet your guests , Electricity usage included , Flexible terms , One simple bill for everything related to your workspace , Plug and play furnished workspace , Your own receptionist and waiting area for your clients Building features , Abundance of natural light , Air conditioning , Car parking Street (Free) , Gym and fitness centre close by , Modern communal food preparation areas , Print, scan and copy facilities , Retail and shopping malls nearby , Shared office space , Taxi / Uber stand close to building 400m to Five Dock Park 230m to Coles Five Dock Across the road from Anytime Fitness Who is Office Hub? Office Hub is the world\'s No.1 marketplace for office space. We have a huge global selection of coworking spaces, serviced offices and shared office spaces with flexible options to suit teams from 1 200 people. We\'ll take you on a tour of all the workspaces that fit your needs and work on your behalf to get the best price possible. We\'ll help you discover how shared office space can be the most beneficial and budget friendly solution for your business. www.office hub.com Conditions apply – the advertised price includes any incentives offered based on a 12 month agreement and is available to new tenants only. Please note that the rental rate may increase for a shorter rental period. A portion of the square meterage factors in access to shared space. Abundance Of Natural Light | Economical Workspace | Central Location $258pw | 3 Person Workspa..
PROPERTY OVERVIEW $258pw Price incl. Economical office space in the centre of Five Dock. This private office can fit up to three people and is offered furnished with desks, chairs and a huge amount of storage space with filing cabinets, shelves and cupboards. Outside of the private office, you step into a welcoming shared workplace that has kitchen facilities and a photocopier/printer/scanner. There is also a manned reception and waiting area where the existing team will give your clients a warm welcome. If you’re ready to move out of the home office to get away from the kids or simply need a more affordable solution for your growing business, this boutique office space could be the ideal solution. Flexible terms available now! This office sits on Great North Road in the heart of Five Dock’s main retail and commercial centre. Part of a long line of shops, banks, restaurants, cafes, this office is close to a number of small local businesses which together harbour a close knit community atmosphere. For public transport users, there are regular bus routes to the city and other suburbs while the nearest railway stations are Croydon and Ashfield, both about 2.6km away. Major regional roads such as Parramatta Road and the City West Link run through Five Docks and there is easy free street parking on the surrounding roads for a stress free commute. The advertised office space is perfect for a team of 3. If you need more or less space, we have over 30,000 furnished workspaces all over the world suitable for a team of 1 to 200+. Our award winning team offer a free service that will help you find the perfect solution for your needs, so reach out if you need more help. What you get for your weekly rent , 24/7 Security , Access to kitchen facilities , Access to secure printer and scanner , Building outgoings included , Dedicated desk with 24x7 Access , Dedicated receptionist to manage your calls and greet your guests , Electricity usage included , Flexible terms , One simple bill for everything related to your workspace , Plug and play furnished workspace , Your own receptionist and waiting area for your clients Building features , Abundance of natural light , Air conditioning , Car parking Street (Free) , Gym and fitness centre close by , Modern communal food preparation areas , Print, scan and copy facilities , Retail and shopping malls nearby , Shared office space , Taxi / Uber stand close to building 400m to Five Dock Park 230m to Coles Five Dock Across the road from Anytime Fitness WHO IS OFFICE HUB? Office Hub has largest collection of shared office space, sublet office space, creative coworking office space and serviced offices, perfect for 1 200 employees. Let us take you on a tour of all the spaces that fit your needs and budget. Our service is complimentary and we work for you and the landlord to negotiate the most competitive deal in the market. Let us show you how shared and serviced offices can be the perfect solution for your business. www.office hub.com.au www.office hub.co.nz Conditions apply A portion of the square meterage factors in access to shared space. The advertised price includes any incentives offered based on a 12 month agreement. If a shorter period is agreed to please note the price may increase accordingly. This promotional offer for new tenants only and may be withdrawn at any time due to space availability. Located in this well maintained, small, two level commercial facility you have the opportunity to secure a small commercial suite to move your business into and flourish. 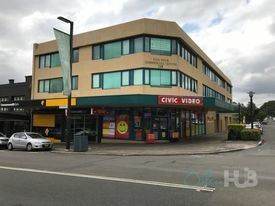 Commercial / retail space in a boutique facility Complex located in the bustling neighbourhood precinct of Five Dock 40 sqm Suit any small business looking to relocate or downsize Owner flexible on lease terms For further details &/or an inspection please call the team at Brookes Partners on 9546 8666.